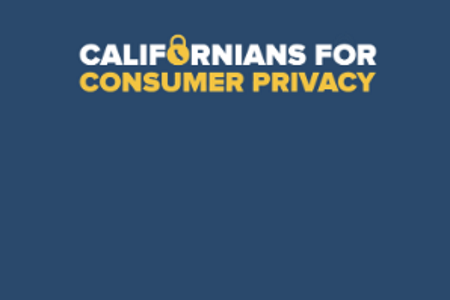 The results of a new study, conducted by privacy compliance company TrustArc, in relation to the level of preparedness for California Consumer Privacy Act (CCPA) will lead to a lot of worry among tech groups based in California. It indicates that 86% of companies that will come under the jurisdiction of CCPA legislation, which becomes enforceable on January 1, 2020, have yet to meet compliance preparation targets. You can read the full report here. This is quite significant as, with less than 10 months to go the CCPA goes live, this report highlights the fact that businesses need to act now in order to avoid major financial penalties down the line. Along with looking at the infrastructure cost to getting ready for CCPA, 71% of impacted organizations will predict that they will invest in excess of $1 million to meet requirements, the report casts a light over the lack of preparation among these companies to date. The study revealed 16% have yet begin work on achieving CCPA compliance, 28% are in the early stages of putting their plans togethers, 9% have completed plans have not begun adapted them into their workplace processed. 19% have begun implementation, and 16% are of the opinion that they have almost got everything in place properly. The study also recorded a correlation between companies who had to adhere with the EU’s General Data Protection Regulation (GDPR) and those who are close to completion in relation to CCPA implementation. Some 21% of companies impacted by both GDPR and CCPA are already compliant on both sets of legislation, as opposed to only 6% for those only impacted by CCPA. As with compliance rates referred to previously above, GDPR preparation has been a n advantage for companies affected by CCPA, with only 62% of them predicted to spend $1 million or more on CCPA. Some 78% of companies dealing just with CCPA will spend the same amount. What Needs to Comply with CCPA? If your organization has to comply with CCPA, which covers how companies gather, store, and use user data, inow is the time to begin achieving compliance goals. The CCPA is going to be the toughest privacy data protection law in the US, and with California being the most populous state there is a strong chance that it impacts you and your business. The report makes clear that groups need help to achieve compliance goals, with 88% of respondents saying the need outside help to understand what exactly they need to do to comply with CCPA. The report comes to the conclusion that spending money on CCPA-centric tech solutions and consulting services is a necessity for those who still need to put in pace compliance plans.